In my last post, we talked about taking ownership for your own change. Being your own change agent. If you haven't read it, go give it a read before continuing on. This week, we're going to look at a little bit of the science behind HOW to change. Many of us love to make large, lofty goals. We wake up one Monday morning and emphatically decide, "I'm going to workout for an hour every day this week!" It's okay. We've all been there. You're not alone. And there's a reason behind your lack of consistency and seemingly inability to overcome challenges and obstacles. 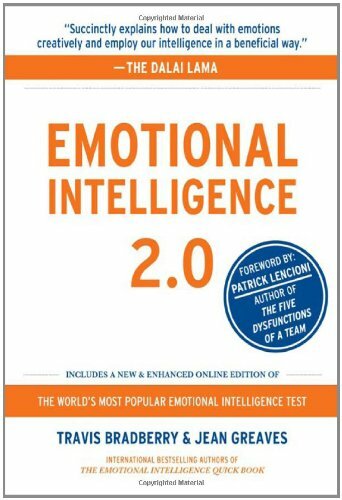 In the book Emotional Intelligence 2.0, author Travis Bradberry talks about two important parts of our brain: the emotional brain and the rational brain. The way the flow of information works in our nervous system is quite remarkable. For everything we sense, the information travels first through our emotional brain before it reaches our rational brain. In other words: We feel before we think. It's almost like we're starting from a disadvantage. We have to overcome our emotions before we can correctly analyze what's actually happened. Ever witness someone blow up at something? Heck, maybe that was YOU that blew up emotionally. Then after the fact you think, "Why the heck did I explode like that? It wasn't even a big deal!" It's because you allowed your emotions to get the best of you. And you didn't allow yourself the time to rationalize the situation before responding. It's a common occurrence. You're not alone. 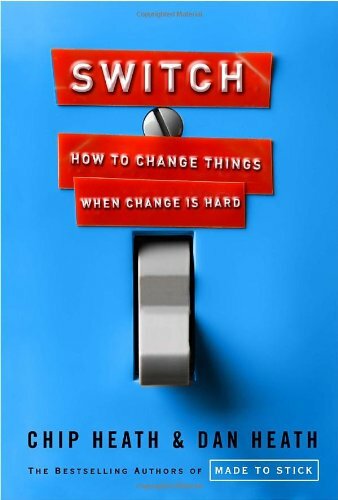 The Heath brothers (Chip and Dan, that is) wrote a book called Switch, with the subtitle: How to change things when change is hard. They dive into this topic of change by addressing two factors that influence how to make effective changes: our emotional and rational brains...and how they can work together. Chip and Dan paint the picture this way: Your emotional brain is like an Elephant. It's big, powerful, and when it heads in a direction it wants...there's no stopping its momentum. Your rational brain is like a Rider that sits atop the Elephant. It tries to steer the Elephant with sheer will power and determination but, that's incredibly difficult. It might work in the very short-term, but it's definitely not sustainable. The Elephant is just too big and strong. So what the heck do we do about it? In Switch, the Heath brothers give a TON of insight and clarity as to how to make the Elephant and Rider work together. Honestly, you should just go buy the book and give it a read. It's worth your time. But I'm going to try and distil the high-level points here today. Too many times we only appeal to the Rider. The Rider loves information. He analyzes, strategizes, and takes in as much information as possible in hopes that that information will move the Elephant in the right direction. But the Elephant doesn't work that way. The Elephant needs a more compelling picture. "You should lose weight because your kids want you to be active with them! If you're overweight and can't get around, you're missing out on creating fun memories with them because you're not able to get down on your hands and knees. You'll have back problems and other health issues that could take your life early. And what will your kids do without their mother?" Now we've created a bit more of an emotional response. The Elephant is ready to move. But how? And where? Switch out one of your unhealthy side dishes for a healthy one like broccoli or zucchini during dinners this week. Cut out sugar and bread and replace those cravings with nuts and fruit. And those are just a few examples. You really should get a lot more detailed and specific in order to win at this. And winning is exactly what we want to feel. Chris McChesney, author of The 4 Disciples of Execution, says we have to create a high-stakes winnable game. If we don't ever feel like we're winning, why in the world would we continue? This is why Dave Ramsey advocates paying off your debts from smallest to largest when working to get out of debt. Why? Because small wins create momentum and turn into a "snowball". Even though other debts may have higher interest rates, it is psychologically and emotionally more powerful to pay off several smaller debts first in order to capitalize on the momentum you've created. We have to engineer small wins in our quest to enact change in our lives. SO. Given all that information, what can you do TODAY to begin implementing and engineering small wins? Whether it's losing weight, working out, starting a business, or speaking up more...what can you do immediately to begin building momentum towards the ultimate change you want to see? Leave a comment below to discuss!